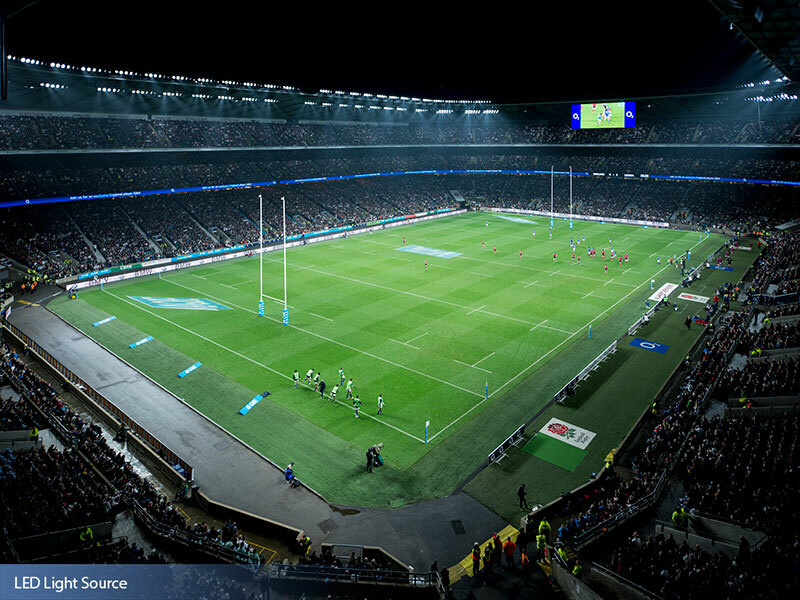 As the largest stadium in the world devoted to rugby, Twickenham Stadium holds a special place in the history of sports throughout Europe. 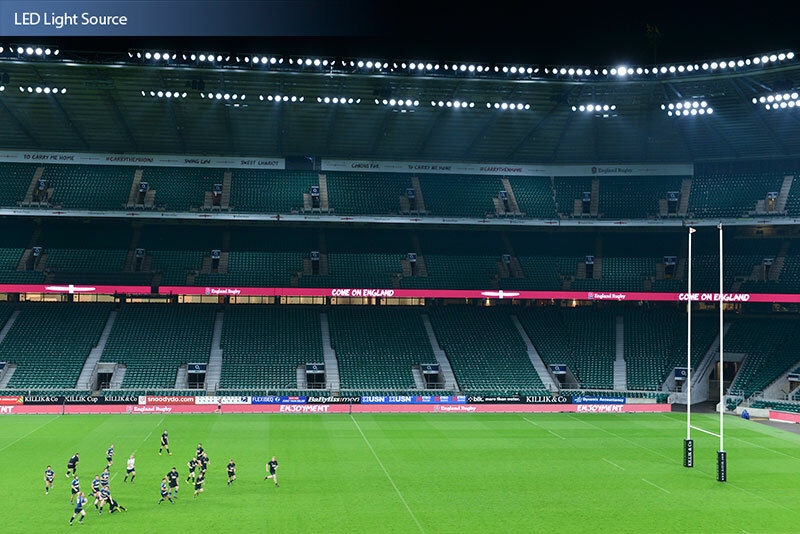 The stadium has now added a new chapter to that legacy, with the installation of Musco’s lighting solution using an LED light source as a way to enhance the playing and viewing experience. 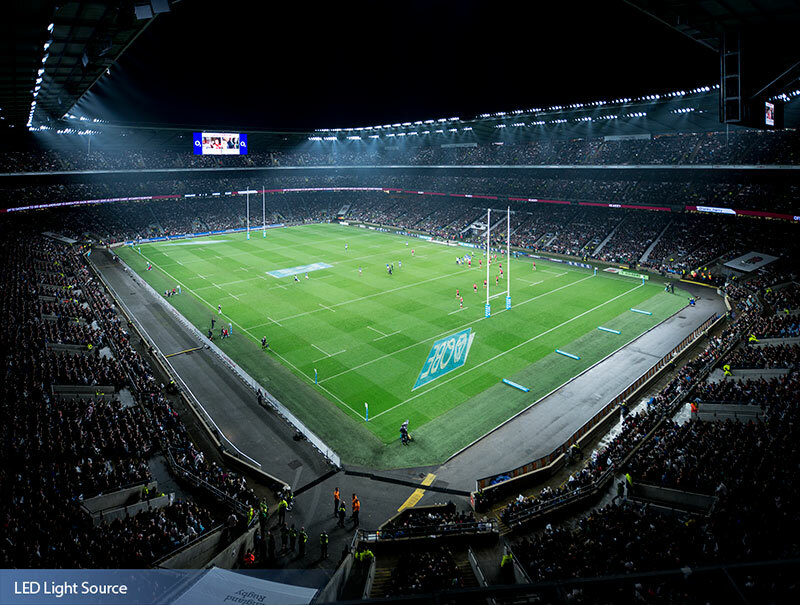 The project was part of the Rugby Football Union’s stadium redevelopment plan, as well as Twickenham’s efforts to improve its sustainability initiatives. 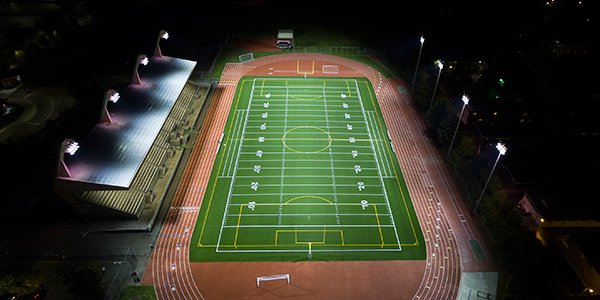 As the global innovator in sports lighting around the world, and the industry leader in the development of LED technology for stadiums and arenas, Musco was the ideal provider for the project. 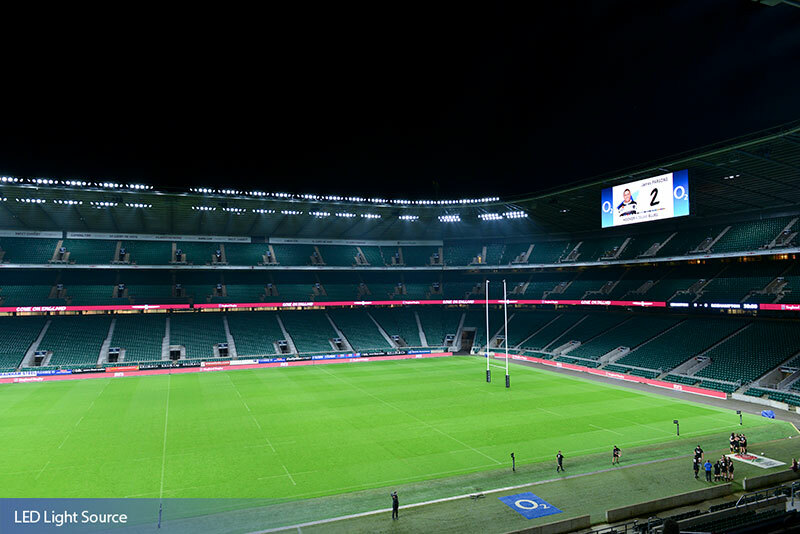 And with Twickenham preparing to host the highest level rugby tournament in 2015, the timing couldn’t have been better. With the new system in place, the 114-year-old stadium now provides an unparalleled playing and viewing experience. 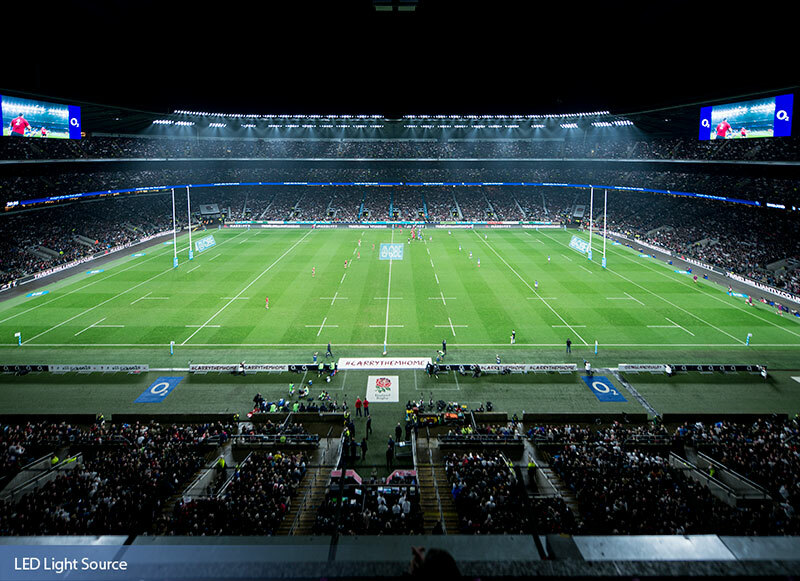 The LED system will help Twickenham achieve its sustainability goals, providing a much higher level of efficiency from the prior system. 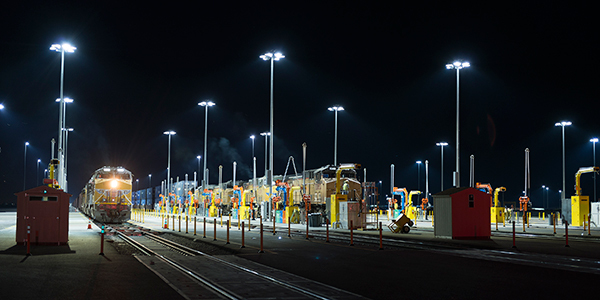 Operating costs will be further cut thanks to Musco’s long-term warranty that essentially eliminates maintenance costs for 10-years. 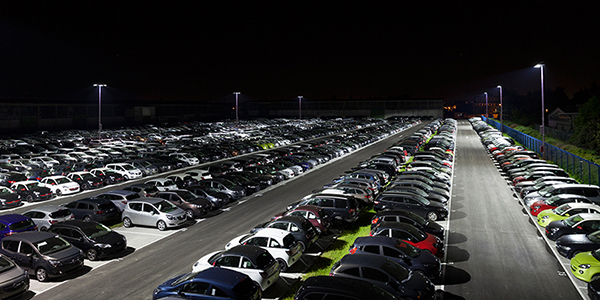 Additionally, the area surrounding the arena will benefit from the LED system’s much more targeted lighting, dramatically reducing the spill light and glare coming from the stadium. 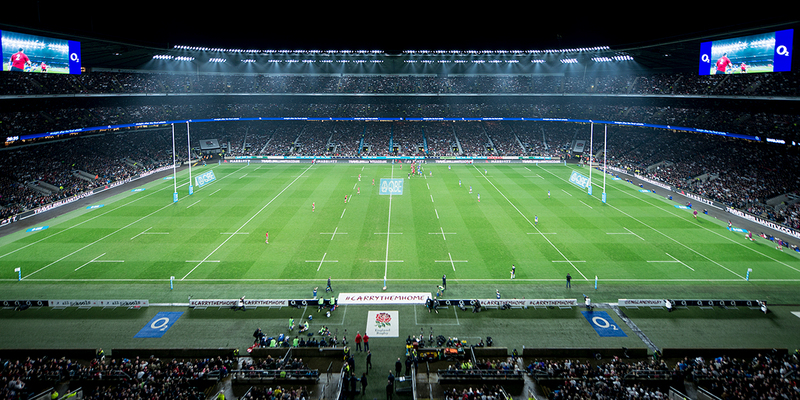 The instant on/off/dimming controls will enable Twickenham to feature special effects lighting for games and other major events like concerts. 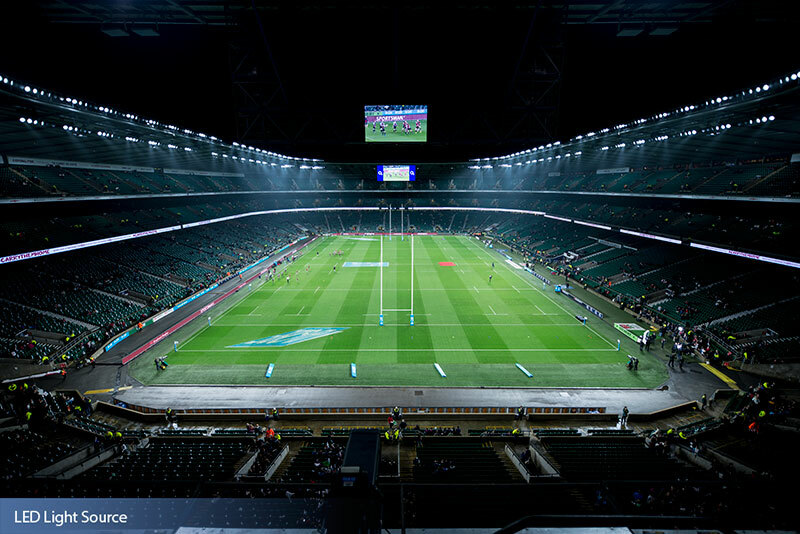 And the LEDs will provide a truly enhanced HD broadcast quality for fans watching the games at home.